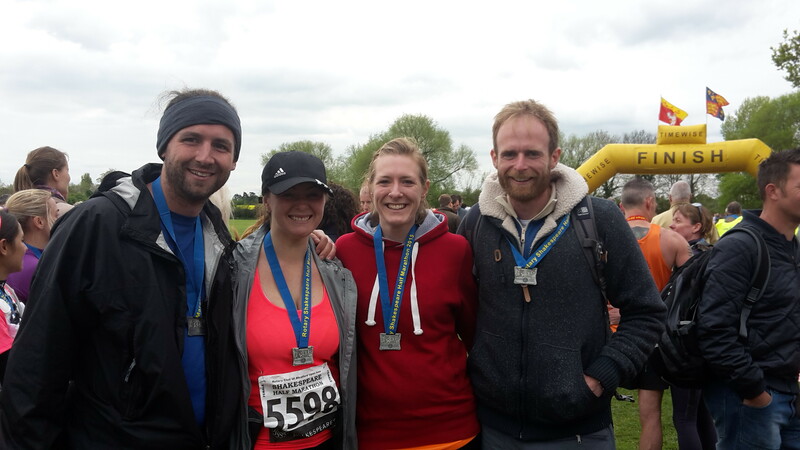 Whether you’re a newbie marathon runner or a more seasoned athlete looking for a personal best, The Shakespeare Marathon and Half Marathon offer runners much more than a great course, which is superblyMarshalled and brilliantly organized. 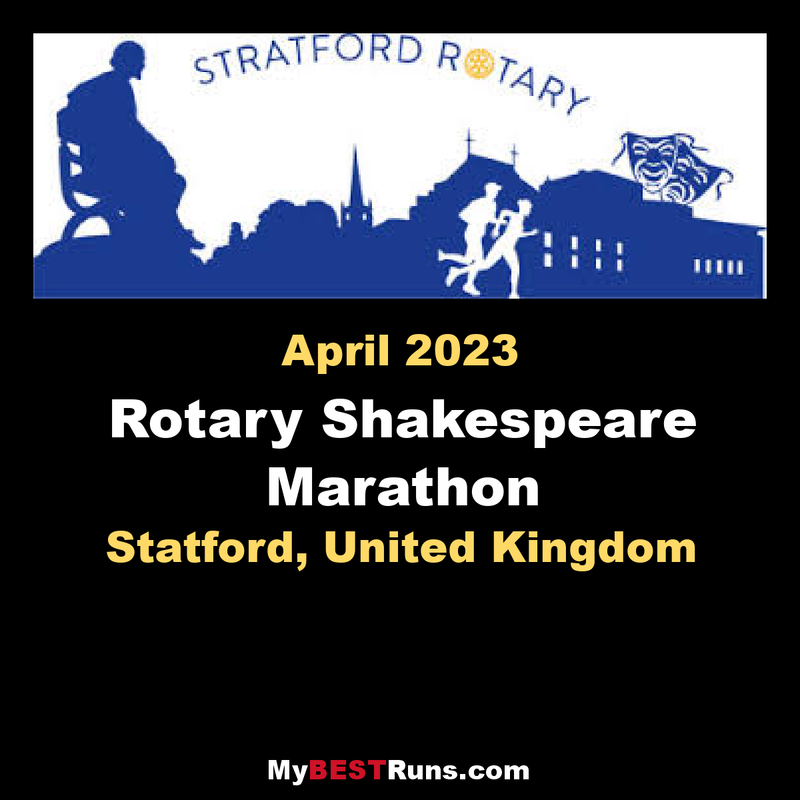 This is a chance to experience world famous Stratford-upon-Avonand to run amongst some of the most historical buildings in the the country and through miles of beautiful Warwickshire countryside. You’ll enjoy a mainly flat, fast course, starting in thecenter of the town, opposite Shakespeare’s old school, taking in sights such as the River Avon, Holy Trinity Church (home to the grave of William Shakespeare) and the Royal Shakespeare Theaters.You’ll run through quintessential English villages, where chocolate box thatch roof cottages, hump back bridges and pretty dry stone walls are a joy to behold. The Shakespeare Marathon has been awarded the BARR Gold standard, reflecting the high standards achieved in every aspect of its organization. As some elements of the event are sponsored and it isorganized andMarshalled solely by volunteers, an absolute minimum is spent on administration and facilities. More than half the money raised from the event goes to local charities including theShakespeare Hospice (founded by Rotary), Stratford Samaritans, Lifespace Trust and ESH Works.In addition to these there are multiple other charities and good causes that also benefit throughout the year. Runners will enjoy a mainly flat course which starts in thecenter of the town, and they will run through pretty Warwickshire villages, including Welford upon Avon and Long Marston, taking in sights such as the River Avon, the Greenway - Stratford’s disused railway path, and the Royal Shakespeare Theaters. The Shakespeare Marathon is now its 36th year and it has an excellent reputation and many loyal runners who enter year after year. It‘s well known for its superbMarshalling and outstanding safety record. The Shakespeare Marathon has been awarded the Barr Gold standard, reflecting the high standards achieved in every aspect of its organization. As some elements of the event are sponsored and it isorganized andMarshalled solely by volunteers, an absolute minimum is spent on administration and facilities.Money raised from the event goes to local charities, including the Shakespeare Hospice.